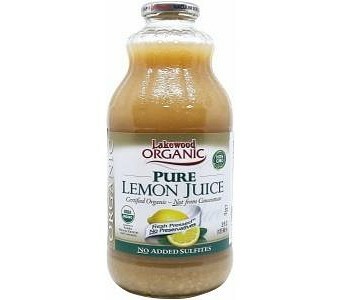 Made from fresh organic lemons, Lakewood pure organic Lemon juice has many health benefits. High in Vitamin C, it contains anti-bacterial, anti-viral and immune boosting properties. Due to its liver cleansing and digestive benefits, it can be of assistance in weight loss. Lakewood Pure Lemon Juice contains more than 14 freshly pressed organic lemons in every bottle! Two tablespoons equal the juice of one whole lemon. It contains no synthetically compounded fertilisers, pesticides, herbicides or growth regulators. All Lakewood juices are pressed, bottled and vacuum sealed in Certified Organic Facilities.